Over the past several weeks, children have been sharing about their dreams, imaginary friends and thoughts about magic in the Studio! Weekly, children go around and share their dreams one at a time with their friends. We’ve noticed that some dreams are reoccurring or follow a theme, while others consist of different characters every week! Each week, children describe their dreams with more detail and have many questions for their friends. After everyone has a chance to share their dream, they sketch about them in their dream journals! Katherine: One of my dreams was when me and Lenin throw snowballs together. We laugh together. Brianna: It was really loud in my dream. The cloud. The cloud was doing so much noise. The sun was blinking because the cloud touched the sun and then it was blinking. The thunder was scaring everyone. All people was running away. Frances: One time, I went into my dream and I played with my dream friend and then he barked at me and then I gave him cupcakes. The animal is a doggie. And I give him cupcakes whenever I get in my dreams. He likes cupcakes. His color fur is rainbow! His name is Shooting Star. Jacob: I dreamed about Chase and Rocky flying together. They were playing together and they came into the bathroom with me. And they brushed their teeth and played with me and with my toys. Elena: The monster was down on my moms sofa and my dads sofa and my sofa and my grandmas sofa. He looks like a monster and his face is disgusting. Like he have a nail and an angry face. And he have a nail on his face. Isaiah: My dad and my mom were singing. They were singing Spanish songs. I was playing fort night with my brother Mason. Leah: Unicorns. Drinking soda. And eating pancakes. And coffee. And pigs drink coffee too. Sheep drink soda. And the sheep and unicorns drink all the soda. And they die. Maya: Squirrel Girl. She’s in comic books. Do you know how I get her in my dreams? From the comic books I read about her right before I go to bed! Savannah: I saw a dinosaur and a ghost. They were fighting people. And then they fall and they get a boo boo on their legs. They go to the doctor. And get a bandaid. Someone slammed the door on the dinosaur. Kaitlyn: A monster bite my finger. And I run and then I ask my mommy if we have a monster last night. Her said that’s ok, it’s not real. Mina: One time I had a giant nightmare. The giant named Jack he really, really snuck in the door and my friend Charlie, he had a house, and we stepped down the stairs, and we walked upstairs, and they also turned into a slide. And the ceiling could come off and on. And when the giant was in my town, there was other people, Charlie decided to close the roof so they wouldn’t get stepped on. Nora: I don’t really know if I’ve ever had one. I only dream about colors. They’re all the colors in the world. The Light Lab is officially open in the Studio and friends are so excited to mix colors of light! The Light Lab will now be a center that’s open weekly for children to continue to explore throughout the year. Jahir: Color change. The colors dance! I want to color change… here we go! Victoria: I like blue. I make blue… blue is my favorite. Emely: It’s like were mixing potions. Like scientists. Jacob: I can feel the colors. I feel blue. My hands are turning blue. Aria: The Light Lab makes my heart feel happy! Ethan: It’s like I’m making magic. I want to find red. I find it! Geo: This Light Lab is my favorite. Ava: Romeo, now you’re red! You’re colors. Farah: Can you make pink? Yanelis: So many colors. Look! We need green. Matthew: It got on the ceiling. I find the red. The ceiling is red from making lights! Savannah: How did light get in there? Isaiah: It tuned my hand red. And your face red! Rachel: It changes colors. It looks like a rainbow! It makes my hands green. Before break, children were introduced to “Beautiful Junk,” which are recycled materials that we can reuse and repurpose in the Studio and in PK classrooms. Families are invited to drop off bags of materials in the bins outside of the Studio that we can sort throughout the year! 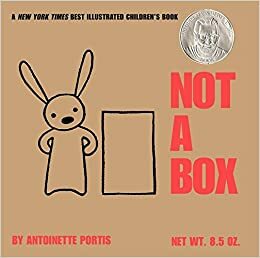 Following the read aloud, I brought a large shoebox to the table and children made predictions about what they thought was inside. As I began to reveal the items, children instantly made connections to the book and were overflowing with ideas of what the materials could be used for. We talked about what they were (can, blackberry box, cork, water bottle top) and about what material they were made from (metal, cardboard, plastic). This led to sorting and labeling materials, which now makes it easier for friends to find specific materials that they need for projects. Jax: Let’s build with straws that bend! Maya: It’s junk that’s beautiful. Like old plastic cans that you can color to make beautiful. Leba: That material looks like what you make waffles with. Uhura: It’s junk that’s beautiful. Maybe someone washed it. Like a can that gets washed can be really shiny. Kyrie: That material looks like a trash can. Jahir: If you rub those toilet tubes together it sounds like a frog. Frances: This is like a net for catching a fish. I know I’m going to catch a BIG fish in this net. Lots of fish, like big fish and tiny fish and little baby sharks. King: Is it… just trash? Sallie Chappell: Could I use Beautiful Junk to make a cupcake? Hope: This material is smooth and soft. Connor: That junk just looks like garbage. Geo: Beautiful Junk means trash. But… I like it. Ethan: This thing feels soft. Like a scarf. Nora: I saw a plastic bottle top on the playground and that’s Beautiful Junk. Mina: We can use this stuff to build planets. Like Saturn. Adele: Beautiful Junk is junk that looks good. Like buttons. Asa: Junk is garbage, but Beautiful Junk you can use again. Like, this is a bag for garlic but now I can use it as a net. Hailey: Ew… junk like… stinks! Feel free to drop off any interesting materials that you find around your house for us to create something new with! 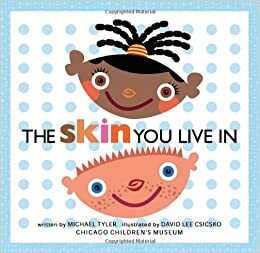 Last week, we continued to read The Skin You Live In by Michael Tyler and began discussing different colors that we noticed on our face and body. Friends used liquid watercolors to mix their skin colors and added them to the self portraits that they began the previous week. Children selected from a variety of paint brushes, based on the amount of detail they wanted to add, versus filling in large areas of their face with paint. Theo: Sometimes my hair is a little bit this color. I need a lot of different colors for my face. Frances: What does “layering” mean? Is adding water layering? I’ll try just adding a little water. I made my skin lighter! Hope: My hair is darker than my face. Mina: Water makes the colors lighter. Asa: I need mostly water and a little bit of paint. The paint is foggy. It makes it so I can’t see my nose. Noah: Big brush for the head, little brush for my eyes. And my hair. Jayden: It’s me! It looks like my skin. Amie: Rinse, rinse, rinse again to make it lighter. Lenin: This color like coffee. Lorenzo: This is a fire brown! It has red in it. Leba: I’m using the darkest dark for my hair. Isaiah: I’m using a little bit of water. It got light brown. Aria: I got a teeny tiny brush to use for my teeny tiny ears. Farah: My hair is kind of blond. One of my ears looks stuck in my hair. And my lips are kind of red. Maya: This brush is not tiny, it’s medium. I’m using a skinny brush for my mouth. Uhura: My skin is honey skin. And my tongue is pink. Kyrie: I see my hair is dark black. My teeth are white. I know I have blood in my eye. I could add that. Jax: We have different skin. I’m light brown but I’m darker brown than Africa Grace. Africa Grace: Yeah, mine is lighter. My mom has light skin, too. I’ve seen wood that’s the color of my skin. I don’t see my skin color but maybe I can mix it. I’m gonna add red because I see red on my arms and I need dark for my hair. Below are some scanned images of self portraits in process! Last week, friends started working on their self portraits in the Studio! We began by reading The Skin You Live In by Michael Tyler. This book has rich text and illustrations, so we broke it up into three parts to use throughout our self portrait work. Next, we began examining our faces in mirrors. Friends noticed shapes, colors and textures, while also sharing what they knew about skin and why we have it. Kyrie: You need skin so you can play. And so you can run really fast. Abbie: It keeps your inside warm. Africa Grace: Skin is so you don’t have your skeleton out. Jax: If you take your skin off, you’ll see your bones. Theo: It helps keep the bones inside the body. Kaylee: And the blood inside. Sallie Chappell: When we grow into a baby, we grow skin. Jair: Skin helps you grow bigger and bigger when you eat your vegetables. Amie: If you don’t have skin, you’ll die. Betsegaw: Self portraits are you draw if you’re a boy or a girl. Abbie: You make your eye color. Theo: I need to make my Nationals jersey. And my missing teeth. And little boogers in my nose. Aria: Don’t forget to make your eyelids. Jacob: My legs are lines. And my feet look like little ovals. My fingers look like five lines. Frances: How come I’m always in my skin? Kaitlyn: I put my unicorn horn. Nora: I need to add my birth mark. Adele: It means… um… self means us, so, a picture of us! Ellie: How do I make Ellie? Eva: I added a freckle to my foot. And a bandaid. Jayden: That’s me. That’s myself! Hope: I have skin on my face. And my cheeks. Below are self portraits in process! Next week, friends will mix colors with liquid watercolors as they start adding additional details to their portraits. During the first six weeks of a new school year, children explore new materials in different areas of their classroom. Learning about new materials is a great way to build relationships with both classmates and new teachers! By the third week of school, children were using oil pastels, crayons, markers, dot markers, rock crayons and twist crayons in the art area. It was exciting to compare and contrast these drawing materials, as they all have very unique qualities! Soon, children will begin coming to the Studio for art groups where they will continue to explore a variety of 2-D and 3-D materials. Soleil: Why are they called rock crayons? Can we use them outside? Hailey: I rubbed it with my fingers. Now I can draw with my them! Dayana: The black oil pastel looks like licorice. This one looks like a minty color. This one is a peachy color. Asa: I made a plan for how to build an airplane. Africa Grace: When you use the side of the rock crayon, it makes you draw faster. Nanahi: It twists. I’m just writing. Savannah: I’m doing it. I’m twisting it up high! Jair: Can it twist to the ceiling? Adele: It’s really hard to smudge black. Maybe because it’s dark? Look… I’m drawing with my fingers! The more you smudge it, the lighter it gets. I just turned red to pink! You have to scrub it. Kennedy: All the colors are making the rainbow. Vanessa: It looks like lipstick. Sallie Chapel: I’m making something pretty amazing! Leba: The top goes there. On the back! Click! Hope: Those are details that I made. I added arms and a mouth to the ghost. Sebastian: It turned my finger green. It’s getting all the colors on my hand! Look at all the colors on my fingers. Isaiah: Can you draw with the back of the pastel? Amie: Put the top on so it doesn’t dry up. As children in Mrs.Balk’s class were drawing outside, many began creating treasure maps of the playground. There was a lot of enthusiasm around maps as children were studying the location of playground structures, the sandbox and the garden. Children began trading maps with their friends and wishing each other “good luck” as they set out to find treasure on the playground! Frances: I’m going to make treasure maps for Abbie to find the treasure. Abbie: I’m making two treasure maps for at home. Zach and daddy are on a team and me and mommy are on a team. Art groups begin in the Studio on Monday! Hooray! As friends began learning about markets in their classrooms, we realized that we needed reusable bags for our school garden market! We began by observing a variety of bags and noticed that most had words, images or both. Friends also shared with each other where their families had used reusable bags before and what they carried in them. Kourtney: You could put snacks and food in them. I do that to go to my grandmas house. Dayana: You could put things in them to go on vacation. Declan: I think that bag says “strawberries are sour.” Or “strawberries grow.” They put pictures of strawberries so I think the words are about strawberries, too. Elijah: We should put our names on them. It could say “Elijah is the best” with no pictures, just colors. And rainbows. Africa Grace: We use bags to bring things home from the store or to someone else who needs them. Cesar: That bag has recycle symbols. The recycle symbols are the leaves on the tree! Isaac: Our bags could say that strawberries are healthy, and they’re red. And that I think hyenas like to eat them. Mina: Sometimes my family uses them to carry a little baby potty for my sister. Brandon: If you’re going to the park, you could put food and toys inside. Naila: That bag is from Whole Foods! Elizabeth: You could put groceries in it. You could put junk in it and give it to someone to build a monster truck with. Mason: You could put a lot of books in it. Or a small lamp. Luca: I use those to get food and to give presents to people. And to carry my beach stuff. Mariyah: I use bags for putting my clothes in the bag to take to my auntie’s house. My brother takes soccer stuff in bags. And you can use it for carrying lasagna stuff. Daniela: Bears eat tomatoes, so do persons. We should tell people that. Mateo: My mom always tells me to eat my tomatoes. I want the bag to say that! Uhura: I put toys in them. You can carry them to a far away place if it’s too heavy. Nazeer: We could share our bags with our families. We could even share it with your family, Ms.Cushner! Scotland: Let’s tell them that some peppers are spicy and some aren’t! Asa: If you want to carry heavy things, it’s a good thing to use! Ali: My grandma has a bag like that. It’s orange and green. Amie: My dad got a bag from a drawer in the kitchen and put my swimming suit in it! Abbie: Strawberries have seeds and they have a stem. And a little flower that’s white. Irvina: I want to tell families that tomatoes grow on vines. They don’t grow on trees. Phew! Once we began brainstorming about our bags, we decided it was best to share information about the plants in our courtyard garden that each class became “experts” on. Children came up with slogans and then voted on their two favorites at Morning Meeting! Elijah: Peppers grow on vines. They all start green but when they grow they turn to different colors. They can grow upside down. Africa Grace: We made strawberry jam. It’s good on crackers. Isaac: Strawberry jam is kind of delicious and kind of not. Theo: Ketchups made from tomatoes. Leba: Daffodils don’t move. They’re not animals. Mina: You can make sauce with tomatoes. Kate: Peppers look like teeth. Luca: Strawberries have 102 seeds on them. Mateo: It’s OK to eat the tomato seeds. Nothing bad will happen. Briana: Some strawberry seeds are yellow and some are black. Amie: Tomato seeds look like raindrops. Friends began doing observational drawings of tomatoes, strawberries, peppers or daffodils to add to our garden market bags. Mason: I want to try to draw this daffodil. It’ll be hard for me. Julian: Count the petals so you know how many to draw. Nazeer: I see a little curve, a little circle and another curve. There’s a down line next to it. Joelle: I have a really challenging one. There are so many daffodils to draw! It’s like I’m at work and I have to focus really hard. Abbie: I’m adding a flower because I see a flower in the picture. After children voted in classrooms, we began writing the words to accompany the pictures on the bags. Friends chose if they wanted to write in their regular handwriting, or if they wanted to try writing with fancy letters. Connor: I only have to write three letters and the “s” is so easy. Luca: I gave the “r” a little hat. That’s silly. Montre: Fancy letters are like if you want to give a letter a mustache. Amie: I put sleeves on the “L” and that’s silly and fancy. And I turned the “S” into a bear. I put ears. Alina: I made ponytails on my letters. Kaleb: I turned my letter into a tomato head! And I made the “M” in tomato into a rainbow. Next, we transferred our text and images onto a piece of styrofoam to use as a stamp! Friends mixed ink, rolled it onto the styrofoam stamp and pressed it onto their market bags. We hope you enjoy using them to shop with at the PK Garden Market on 5/17 from 9-10 am! Declan: Ink feels soooooo sticky! Kourtney: Wow… it’s on the bag! Mina: It’s kind of hard to roll ink but when you roll it, it turns smooth. Naila: Oh, I think I know… it’s gonna stamp on the bag! Aaron: Ink is so messy. But it’s so good. I’m working really hard on it. That is a big, big, big stamp. Kendul: Roll, roll, roll… roll the ink! Luca: I can’t wait to take the bag home after the showcase to use at REAL markets! Katherine: The ink gets very scratchy. Gerson: The stamp is getting so covered. It’s like a bulldozer. Julian: I know it’s going to go on the bag. It looks beautiful! Adele: I saw someone paint a wall with a rolling tool like that. Geo: My mommy… she gonna like this! Asa: Rolling the ink sounds like a lawn mower. Briana: It’s hard to make the ink flat. It’s easy to make it have lines. Amie: It sounds like a cat is walking around and scratching with his claws! Additional market bags, tea towels and seed balls will be for sale at the PK Garden Market tomorrow (5/17) between 9-10! See you there!